It’s not unusual these days for missions to come together - from mission reunions to mission consolidations like we have seen over the past year. However, in June 2018 there was a very different kind of gathering and possibly the first of its kind in the UK. 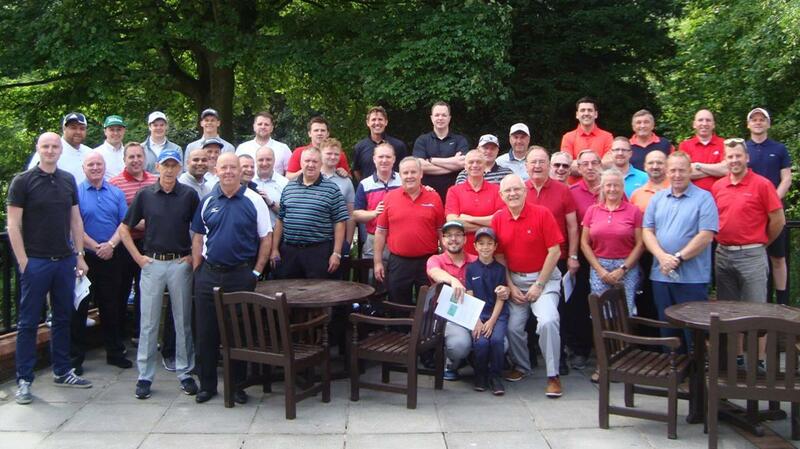 On Saturday 25th June 2018 the inaugural ‘War of the Roses Golf Competition’ was held at the Marriott Golf and Country Club at Worsley, Manchester. Two teams, each representing the Stakes from the Manchester and Leeds Missions came together, each colour rose depicting the Lancashire and Yorkshire regions which each mission represents. 39 golfers participated, with at least one player represented from each of the 14 stakes within the two Missions. The event took about 12 months of planning and was organised by Steve Marshall (from St Helens Ward, Liverpool Stake), who chaired a committee made up of individuals from all over the north of England. Players were of a range of golfing ability, age and gender. The day involved four players (two players from each team) going out in a ‘fourball’ to play 18 holes of the Championship course, followed by a two course meal and prizes. Prizes were awarded to individuals for the longest drive, nearest the pin and best score by two players (pairing). The main prize was a trophy awarded to the winning Red or White Rose team. The weather was excellent and was only matched by the wonderful team spirit and camaraderie that was evident amongst the players. Old friendships were renewed and new friendships formed. The over whelming feedback was positive with enough interest to put a similar event on in the future. Oh, and in case you are wondering....the White Rose team won!